Black pepper is a spice known and appreciated throughout the world. However, Il Mercante di Spezie has selected only the best peppercorns from the coast of Malabar in the south of India. This black pepper is the same peppercorn as the green pepper that after harvest is fermented and dried, giving it its dark colour and wrinkled look that we all know. In addition, this process accentuates the aroma and the spicy and hot flavour sensation. 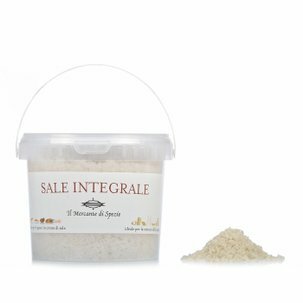 Use it whole, crushed or ground on your favourite dishes: from salads to marinades, from grilled meats to cheeses and typical pasta dishes such as 'cacio e pepe' (cheese and pepper). Ingredients Whole black pepper. For more information on product labels, please contact our Customer Service department. The information on the labels of the products may vary for reasons beyond our control, therefore, there may be discrepancies between the information on the site and that on the products delivered. Please always check the information on the product before consumption or use.